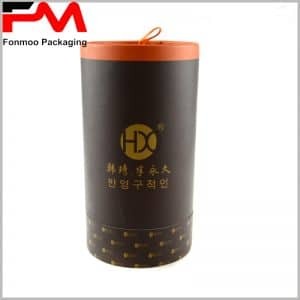 This black paper gift leather paper round packaging box is specially made for high-end packaging solution of gifts. Made by black cardboard as main structure and exquisite leather paper, the packaging gives a very refined feeling and will raise great expectations to the gift receivers, offering the best happiness to the pass of the gift. The design of pure black and white pattern is realized by three levels: single color printing at the first layer, then UV ink printing of the main pattern, then hot silver stamping to make the best brilliance effect. Simple but very exquisite, this gift packaging box will give much added value to the gift inside. As professional manufacturer, we can provide any customization based on this sample. What you need to do is just getting in touch with us and indicate your demands, then let us do the rest of the work. 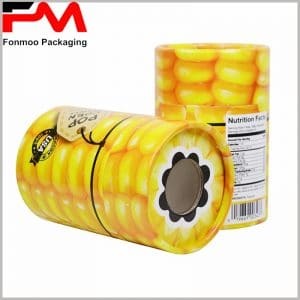 With best price, flexible condition and small MOQ demand, you will have your ideal black cardboard leather paper tube packaging box.